The Sunset Harbour Club by Diamond Resorts is positioned on the outskirts of multicultural Playa De Las Americas. 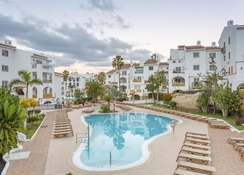 This traditional style Andalusian Pueblo Blanco complex is surrounded by elegant parks and gardens and offers a relaxed atmosphere along with excellently designed interiors. It features luxurious beautifully furnished apartments with ultra-modern amenities. 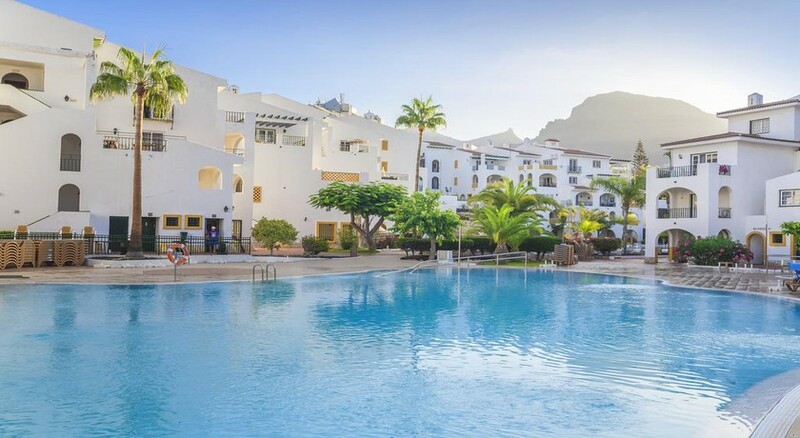 Guests to this marvellous hotel can relax on soothing beaches and discover innumerable places of interest like Aqualand in Las Americas and Tenerife's Zoo and Jungle Park. 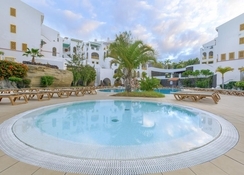 Or just stay and enjoy a swim in the outdoor swimming pools in the hotel. The Tenerife South Airport is not very far from the hotel, making it convenient for the guests to board their flight on time. The hotel is set in a location, where the temperature is balmy throughout the year, which ultimately makes it a year round destination. 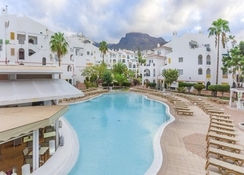 The Sunset Harbour Club by Diamond Resorts is conveniently situated in Calle Valencia, Santa Cruz de, Tenerife, Spain. Convenient for the beach lovers as the Fanabe Beach is less than 300 metres. Moreover, the hotel is very close to Porto Colon Harbour, which is surely some good news for shopaholics. Guests can board their flights at Tenerife South Airport, which is 18.3km from the hotel. Sunset Harbour Club by Diamond Resorts offers Studio One-Bedroom and Two-Bedroom apartments, making every single, couple, family and group of friends find something suitable. 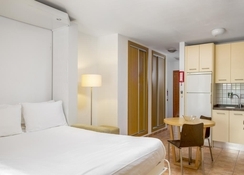 They comprise all the amenities to make you feel like a home-away-from-home. Some of the amenities in the rooms include air conditioning, alarm clock, balcony or patio, ceiling fans, iPod docking station, iron and ironing board, safe, sofa bed, telephone, voicemail answering service, complimentary kitchen pack, dishes, dishwasher, fridge with freezer, glassware, hob, juicer, kettle, kitchen utensils, microwave, oven, toaster, complimentary toiletries sets, full bathroom, hair dryer, shaver point, shower, coffee maker, DVD player and television. Step into the irresistible hospitality atmosphere of the Club House Restaurant, which will surely satisfy everybody’s food carvings. Enjoy the half board option, which encompasses a selection of items for breakfast. Make sure you take advantage of the Happy Hour from 4pm – 7pm, offering beers, cocktails and spirits at discounted prices. To explore the local cuisine, make sure you visit the restaurants and bars near the hotel offering multiple cuisines from all around the world. Sunset Harbour Club by Diamond Resorts is an ideal choice to stay for holidays if you are looking for numerous sports and leisure facilities in and around the hotel. The hotel houses two outdoor swimming pools, one of which is for children-only. 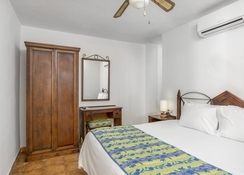 Apart from this, there are numerous facilities near the hotel that include tennis courts, scuba diving, snorkelling, horseback riding, driving range, fishing, golf, casino, nightlife, shopping centres and much more to explore. Lots of building work outside but only afffected getting into the resort on arrival, obviously being a diamond club they were trying to get you to go on a trip to sell an apartment but weren’t pushy , lovely complex and restaurant was excellent . Entertainment man was really good . Lovely stay. Would come again.